I had worried that The Elder Scrolls Online had played its best hand too soon when it released Morrowind as its first “chapter” (or expansion) in 2017, but I’d forgotten about the dragons. The beasts, so loved from The Elder Scrolls V: Skyrim, take flight in ESO’s upcoming Elsweyr expansion, and earlier today ESO’s creative director Rich Lambert showed audiences on Twitch how dragons would spend the game’s next chapter burninating the homeland of the cat-like Khajiit. The new chapter launches for pre-order buyers on May 20, and here are five good reasons why you’ll want to be around when the fur and fire start to fly. Here there be dragons, and frankly it’s about time. I’m a little surprised to see them. 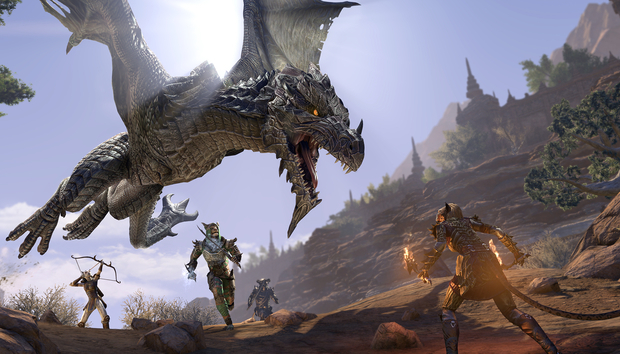 ESO takes place at a point in the series’ history when dragons have been all but hunted to extinction, and the received lore claims that nobody has seen any since the drake Mirmulnir flapped into obscurity almost 400 years before. Whatever. ZeniMax has a game to market, people. And so the dragons are here in force now, full of fire and fury, and ready to lure in a generation that grew up when Elder Scrolls was all about yelling at dragons. And this time there’s no Dovahkiin around to clobber them singlehandedly and snort their souls, all the better for roving bands of players to skewer them for loot and achievements. When the hot sauce is too much. They look magnificent. The screenshots make ESO look more exhilarating than it’s looked in years. And yet I’m a tad worried that they differ much from the dark anchors and abyssal geysers we’ve known in ESO for years. Hopefully they’ll randomly spawn, and so avoid the kind of clockwork grinding players count on for the anchors. I hope, too, that they’ll come multiple varieties, the better to avoid the repetitive slog that inevitably settled over Skyrim in later hours. By the time the story closed, killing dragons was about as fun as doing taxes. Thank goodness ZeniMax Online didn’t set this dragon-infested yarn in Skyrim. It would have looked too obvious, too desperate. Instead, ZeniMax gives us a showdown that pits claws against claws: the dragons of old versus the catlike Khajiit who prowl the savannas and deserts of Elsweyr. It’s a move that both taps into the thirst for nostalgia and serves up treats for fans who’ve hungered for new tales from Tamriel in the eight years since Skyrim. And it’s a worthy setting (and ZeniMax says it’s roughly as large as last year’s Summerset chapter). Elsweyr has largely been a no-show in Elder Scrolls games since 1994, but rivulets of lore have long hinted that the current of ESO’s story was leading to something like this. Razum-dar, ESO’s Khajiiti operative and quest giver, is easily one of the most popular characters to come out of the series’ lore. Rawl’kha, the little trading village that serves as ESO’s de facto endgame trading hub, is a Khajiiti outpost. So we have cat people killing...cats? What are the ethics of that? For that matter, ZeniMax increasingly shows itself willing and capable of shouldering past the holy trinity of Morrowind, Oblivion, and Skyrim to craft new stories from neglected corners of Elder Scrolls lore. Some of its best and more original content has sprung from this, such as its excellent Murkmire DLC that cast the lizard-like Argonians in a better light than any Elder Scrolls game that cane before it. I’m confident the studio can do the same thing with the cats. And as a person who’s fond of both dragons and cats on the internet, this may be the expansion I’ll end up loving the most. 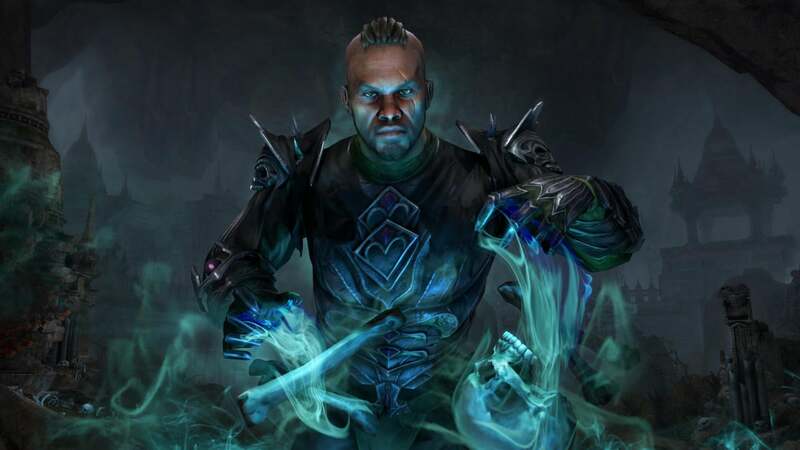 Elsweyr introduces Necromancers as ESO’s newest class, and the news has players cheering so loudly that you might say it’s enough to wake the dead. Judging by how well the Necromancer class worked when Blizzard brought it to Diablo III in 2017, it also looks like a smart class for injecting new life into an aging property. Is he more of a Bauhaus guy or a My Chemical Romance guy? I’m undecided. I can’t say I’m personally thrilled to play one. Skyrim’s necromancers were always a sad sort, huddling as they did around damp rocks in gothy robes, apparently bitter after realizing that they can only be the life of the party among the dead. I sympathize, but I like it when my fantasy games are escapes from reality. It won't be true Elder Scrolls unless one of the dragons is flying backwards. 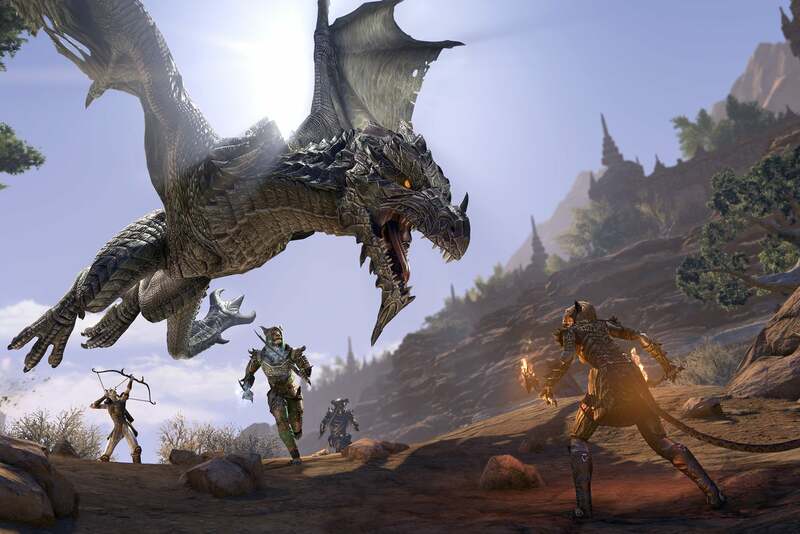 But with Elsweyr, ZeniMax is betting it can get players to come back more than once by spreading the main story across four patches over the course of a year. 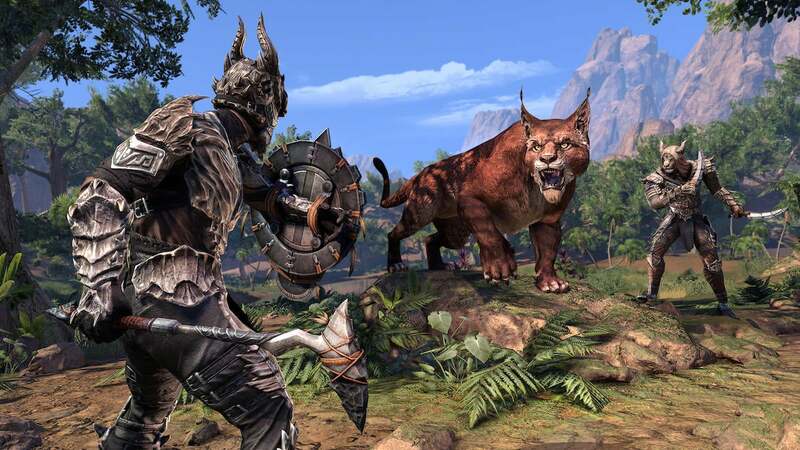 You’ll have the main story of the Elsweyr chapter, of course, which reportedly yields around 30 hours of content at launch. Beyond that, you’ll get two new dungeon patches later in the year and finish with another big story patch sometime in the year’s fourth quarter. This brand of ongoing narratives keep players coming back to games like World of Warcraft and Final Fantasy XIV, and I can think of no better way to introduce it to ESO than a year-long epic about a struggle with dragons. 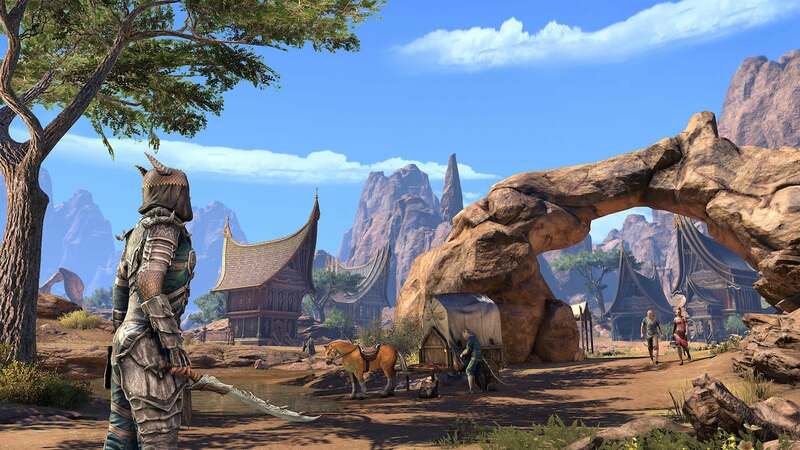 You can start in ‘Elsweyr’ from scratch! 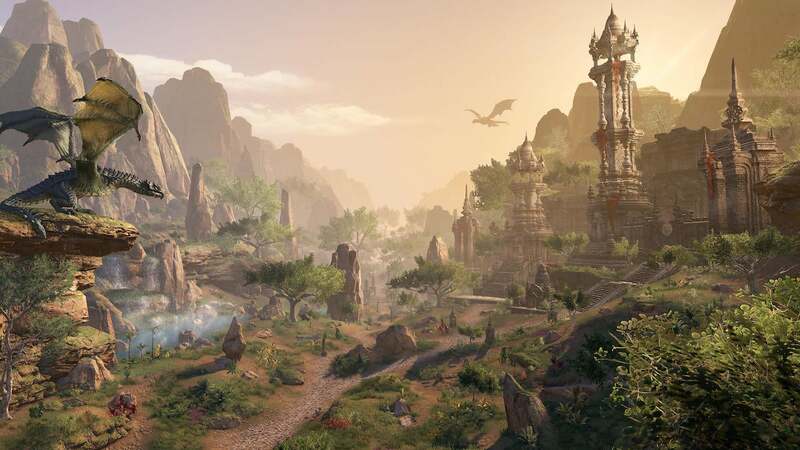 In true Elder Scrolls fashion, The Elder Scrolls Online has allowed you to quest over virtually any area of its world of your choosing for years regardless of whether you’re a brand-new player or a veteran. That remains true here. More than prince of cats, I can tell you. 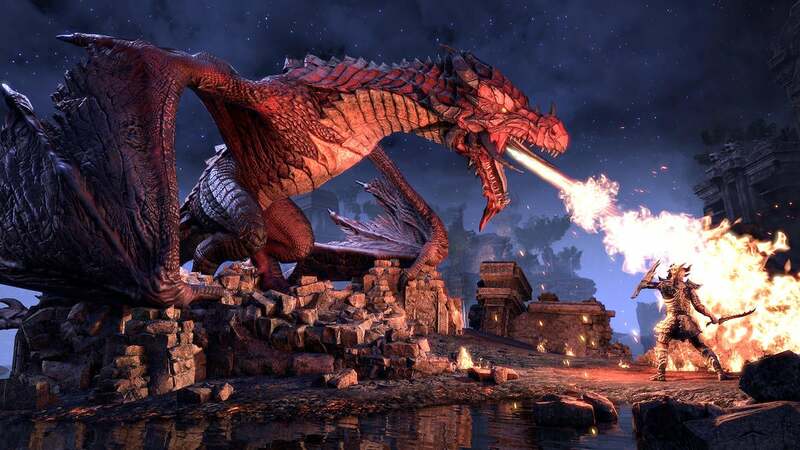 In other words, if you haven’t been able to bring yourself to get interested in Elder Scrolls Online until it became a game about dragons singeing the hair of cat people, you’ll be able to drop right in to Elsweyr from the moment in launches—provided, of course, you buy the chapter pack.